I am experienced with complex conditions such as endometriosis, or PCOS, Cervical Screening and Colposcopy. From contraceptive advice for all ages, to management of painful periods, these are some of the common issues I deal with on a daily basis. 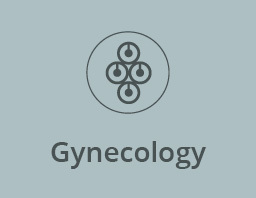 I have many years of experience diagnosing and treating a full range of gynaecology problems. IVF is not the only solution to falling pregnant. Infertility is not a diagnosis. It is a symptom. Knowing that you have been unable to get pregnant shows very little about your underlying condition. So don't assume that infertility means IVF. A proper diagnosis is key to treating infertility. Every woman is unique, which means starting a family may be more difficult for some than others. We will support you along your pregnancy journey. 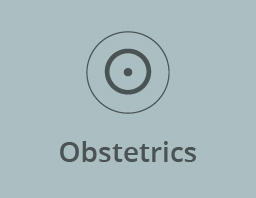 Within my solo practice, I am an experienced private obstetrician with a Clinic Midwife. We are setup to support you through your precious pregnancy. We encourage partner involvement in your magical experience. Continuity of care is really important to me and is paramount to our joint relationship I have with my patients. During your pregnancy, it is planned you will see both our Clinic Midwife and myself to guide you through your pregnancy. Rachel was born in Cambridge UK. She was fortunate to grow up in the Cambridge countryside. She had an active childhood competing in equine events to a County level. Unfortunately University and Medical school took over her life and the horses took a back seat. Rachel went to University in Birmingham. Having been lucky enough to visit Australia in her fourth year of university Rachel fell in love with the country and knew she would return. She completed her degree in 1997. Having completed 18 months of service for the NHS she moved to southeast Queensland. Rachel started her specialist training in 2001. Her training took her through the major teaching hospitals and a 12 month rural stint in Mackay. Rachel gained her fellowship in 2008. Rachel took a short leave in 2007 to have her first daughter, returning full time to finish her training. She worked at Ipswich General Hospital as a staff specialist until her second child was born. She returned to work part time as a Visiting Medical Officer and as a Private Practioner in 2009. She now works full time in private practice. Rachel leads a very busy life. She balances her work and home life with a very active life. Rachel has been a competitive body builder. She is currently an active runner and self confessed exercise junkie. Rachel is very proud to be involved in the local community. She supports a number of local charities and is heavily involved in the Ipswich Junior Grammar School community where her 2 girls are educated.